Snapchat has quickly taken over on the social media sphere. It's the best way to keep updated on your friends and see their lives through their eyes. 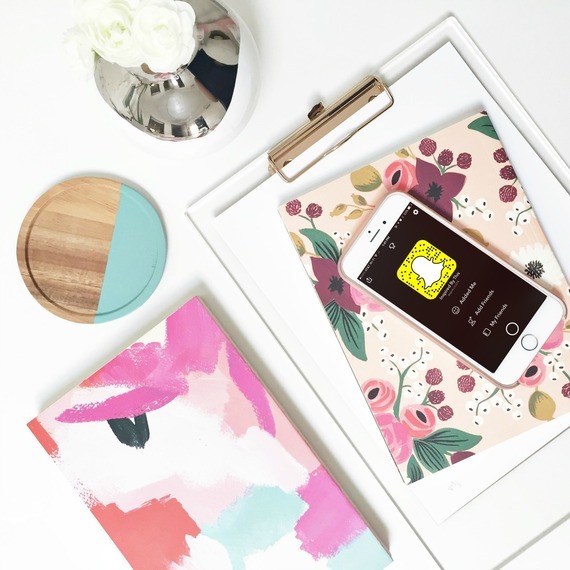 When used correctly, Snapchat can be extremely beneficial to your business and add a personal element that makes you more engaged with your audience. I'm sharing the four ways that we at Be Inspired PR use Snapchat and how you can use it too! 1. Encourage your clients to get social with you! Geofilters are perfect for your clients and guests to do some promotion for you. If you have an event, create a few geofilters that will be available for the event. You do have to design your own and pay for them, but they are extremely user friendly and will not break the bank. Not only will it expose your brand to your guests' followers, but also those in the area will be able to access the filter and it will get your name out there. For a more permanent geofilter, you can allow your office to have a geofilter, so your visitors can show off your beautiful office! 2. Give your audience a behind-the-scenes look. Snapchat was created to give your followers a look into your life through your point of view. So give the people what they want! Whether it's showing them a tour of the office, a BTS of setting up an event, or goofy times with your team, use this platform to show your personality. People love authenticity, so keep it real, but fun. While you can always use the good old-fashioned survey, those have become a little outdated and they aren't exactly convenient for the on-the-go consumer. Instead, keep it simple and use Snapchat to get user input. Followers can snap or chat you directly, but if you want to take a poll, do it through your story. Share a snap explaining what is to come, and then share the options asking them to screenshot their favorite. What you'll get is instant feedback! 4. Rewarding those who follow. I love the quote "Invest in those who invest in you." With all of your loyal followers, be sure to reward them. Give them exclusive promo codes or first looks/sneak peeks into your upcoming projects that you normally wouldn't share on Facebook or Instagram. It will be gone in 24 hours and will be special for your Snapchat followers. Social media platforms are the best way to gain free marketing, so take use them to your advantage. Get familiarized with the apps and the tools you can use to maximize the service. Implement these methods and you're already on your way to becoming the next Snapchat King or Queen.